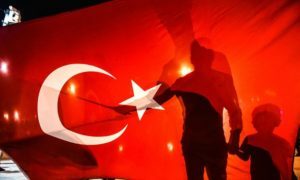 The rise and fall of the coup d’état in Turkey has disclosed a number of situational ironies, each of which indicates a difference between appearance and reality. A brief analysis of the two separate and contrasting levels of meaning embedded in at least six situations reveals some uncomfortable truths about Turkish politics and may also give a couple of hints about the prospects of democracy in Turkey. To begin with, President Recep Tayyip Erdoğan and the leading figures of the Justice and Development Party (AKP), who declared their distrust in social media and blocked Twitter and Facebook several times, had to use digital technology to reach out to their supporters during the putsch on July 15-16, 2016. Web-based communication tools were not the only means they used for controlling newsfeeds and debunking rumors in support of the coup attempt. Although military officers took control of TRT state television around midnight to announce a countrywide curfew and martial law, private television stations remained on the air and helped the government to make its voice heard. Eventually, after midnight, the wind began to change course following CNN Turk’s interview with Erdoğan on FaceTime. [i] So the first irony lay in Erdoğan’s appeal to the new media despite his suspicions about it. Regarding the interview, the content of Erdoğan’s talk was even more ironic than the medium of communication. This is so because Erdoğan as the commander-in-chief ordered the people to occupy streets and squares, which were ordinarily kept closed to Erdoğan’s rivals such as the Gezi protestors, Kurdish activists, workers and LGBTQ. In response to his (morally questionable but politically efficacious) call for protest, hundreds of thousands of people from all walks of life took to the streets and squares to support the elected government instead of yielding to a military-themed destiny. In general, the second irony stemmed from the use of digital communications for the purpose of mass mobilization. In specific, Erdoğan required an imminent danger that put his power into peril to fully cherish and unhesitatingly resort to a distinctive method of democratic movements, the occupation of urban space, which has long been widely discredited as leftist nostalgia and pseudo-politics. Since the failed coup d’état, a third irony is at work. The media outlets have repeatedly announced that the general public stood for democracy. However, the people’s democratic stance should not be stressed as much as their bravery for two reasons. First, “democracy celebrations” held in town squares every night from July 15 to August 10 turned into pro-government festivals replete with the chanting of “Allah-u Ekber” (Allah the Great) and the collective demand for the reinstatement of capital punishment. The driving motive in these meetings was accentuating the power of God and the state’s vengeance, more than supporting democracy as such. Second, what the majority understands by a democracy is more often than not a minimal procedural democracy (in its Schumpeterian sense) that substantially works on behalf of political leaders and their agenda. To be sure, a conservative interpretation of democracy had been in place before Erdoğan and did not cease to exist after his premiership. The major change after the foundation of AKP under the Erdoğan’s leadership in 2001 and his rise to power in 2002 was the replacement of the old establishment or hegemony, customarily referred to as Kemalist, by that of political Islam. Since then, not only did AKP’s own bourgeoisie get richer through a mixture of privatization and clientelism[ii] but also Erdoğan’s electoral success and uninterrupted political power reached its climax, in 2014, when he became the first president elected directly by the electorate. During most of those years, Erdoğan and AKP’s members presumptuously asserted to have built a “new Turkey” resting on an “advanced democracy,” probably the most exploited catchphrases of AKP. That being said, the coup attempt posed a fourth irony simply by proving AKP’s official narrative wrong. The failure to see a coup coming or to prevent it from happening is not the only evidence against their over-hyped political achievements. In the last 14 years, the anti-Erdoğan parties (Republican People’s Party, CHP, and the People’s Democratic Party, HDP, in particular) have stressed the conflict between Erdoğan’s high expectations and the people’s lived experience from the vantage point of democratic politics. These objections were not ungrounded. The AKP governments put restrictions on rights and liberties, including freedom of speech, freedom of the press, freedom of assembly, and the right to protest. Erdoğan’s involvement in the Syrian civil war and the ensuing refugee crisis gave birth to a new set of social problems expected to endure for decades. Further, AKP’s policy to redesign the educational system so as to foster “a pious generation” raised great concerns about the future of laicism in Turkey. Last but not least, AKP’s goal to exert wider control over the state apparatus by appointing “pious” personnel to public offices made the state institutions vulnerable to the Islamic communities, including the Gülen movement. In December 2013, things only got nastier with the leaked tapes of Erdoğan, businessmen, cabinet members, and their families. Erdoğan rejected the tapes about corruption, bribery, fraud, money laundering, and international gold smuggling as a “dirty plot” and “montage.” Gülen was immediately accused of being the mastermind behind the corruption scandal intended to bring Erdoğan to his knees. From that point on, the public began to read and hear more about the allegations that Gülenists (disguised as prosecutors, policemen, soldiers, teachers, doctors, journalists and so on) sought to constitute a “parallel” state, or a state within a state, by devising a secret plan to take control of political power. Let’s be clear here, though. These accusations first came to public’s attention in the writings of secular and leftist intellectuals, who were since then stigmatized as anti-religious, anti-democratic and even Islamophobic by Islamists and some liberals. After decades of denial and connivance, fortuna turned the tables on the domineering right-wing politics benefitting from the Gülen network and proved a handful of critics right. Finally, as of today, nothing is crystal clear about the perpetrator of the failed coup. The general supposition is that either a Gülenist clique or a coalition of cliques (including politically ambitious generals and a small group of anti-Erdoğan senior military figures) launched the attempted coup. Sooner or later, we will find out whether Fethullah Gülen is the head of a terrorist organization[vii] or a puppet manipulated by a foreign intelligence agency[viii]. In either case, we are living the putsch’s ramifications to the fullest. On July 20, the cabinet led by President Erdoğan declared a three-month state of emergency and began to rule by decree so as to take “swift and effective” action against the plotters and Gülenists working in state institutions. The number of bureaucrats, military staff, policemen, prosecutors, judges, doctors, academics[ix] and teachers that are facing detention or suspension has reached over 100.000. 15 private universities, dozens of hospitals and clubs owned by Gülenists are either closed down or appropriated by state. These numbers will certainly increase. Yet, the high-risk group for detention and suspension is not limited to Gülenists and Gülen sympathizers alone. Marxist, anti-Erdoğan and pro-Kurdish activists, academics[x] (including the signatories to the Petition for Peace[xi]), journalists[xii], artists and unionists that have nothing to do with Gülen movement may and will come next. Therefore, as the purge expands, the fear that non-democratic decisions will be made in the name of democracy grows exponentially. [xiii] This is the last and most tasteless irony of all that involves countless dangers for the post-coup era. As if to add insult to injury, the cabinet has just extended the state of exception for another three months. So far this state of emergency has been administered by a populist reason intertwined with a nerve-wracking over-emphasis on people’s adherence to democracy. In less than a week after the putsch, Erdoğan and the AKP successfully represented the failed coup attempt as the victory of democracy, and people’s resistance against military as the naked proof that displays the quality of democracy in Turkey. Considering AKP’s rhetoric of democracy with its welcoming populist mantra that “we the people should be united as one against the terrorist Gülen movement,” some may find a ground for optimism in the days to come. For the rest, it is but wishful thinking. If nothing, we know for a fact that the people in Turkey are deeply separated into contending ideological camps with uncompromising political commitments, albeit not always well justified. To make a long story short, Turkey’s pervasive social and political polarization can hardly be resolved solely by discursive practices and verbal sleight of hand. The same caution should attend any assessment of the attempts some commentators have made to find a silver lining in the downfall of the Gülen movement. In the weeks immediately following the failed coup attempt, a number of public intellectuals from different camps (including Kemalists, liberals and conservatives) came to emphasize the significance of meritocracy and secularization as a remedy for healing the wounds opened by the “Gülenist” putsch and administering the legitimacy crisis, which, from their point of view, could threaten the AKP government or the state organization for different reasons. These concerns did not wither away but slowly faded into the background as a consequence of the rush of daily political polemics over emergent issues. Some of these journalists, academics, retired military officers, etc. were sincere (if not always well-informed) in their comments on the value of secularization and meritocracy, others were simply parroting clichés in an attempt to save themselves or hide their true intentions. Such commentators express, albeit in distorted, self-interested, or limited form, ideas whose full import should indeed be on the agenda of the Left: the demand for a return to laicism and meritocracy—both understood as extensions of popular sovereignty—in the reconstruction of the state. To what extent this is possible under current conditions is open to doubt. For one thing, taking that demand to its logical conclusion would require the inclusion of elements not likely to find favor with those now offered a platform. Kurds, Alevis, LGBT’s and the labor movement come to mind. To conclude, first, the government may have outflanked the competition over the use of political language and gained the priority to set the final meanings of political concepts such as democracy, but in practice democratic procedures are not as representative as they should be. For example, the pro-Kurdish HDP, the second largest opposition group in the parliament after CHP, was the only party that was not invited to the leaders summit in presidential palace[xiv] and to the Istanbul rally[xv], whereas AKP, CHP and MHP (Nationalist Movement Party) were present at both. Second, we must note that AKP’s populism has a political purchase and is essentially steered by two emotions: the fear that Gülenists, who penetrated into the arteries of social and political system, may continue to remain unnoticed and the hope that a state of emergency can wash a great number of them away from the state and the market at a stroke. For sure, to win such a large-scale war against the Gülen movement will take years of vigilance and suspicion, especially if Gülenists are as skillfully camouflaged as maintained by different authorities. At any rate, AKP’s new wave of populism enhanced by these emotions can provide Erdoğan with a leverage to complete his unfinished projects, whatever they might be, without further ado. Still, third, we should not be driven into conspiracy thinking about Erdoğan’s involvement in the coup plot simply by looking at the consequences mainly because it is speculative, feeble and simplistic in terms of political analysis. A more effective strategy would be to question the governing capacity and the political responsibility of those who rule. How come Erdoğan could be deceived and misled by Gülenists for years, if he had the skills and abilities he claimed to have as a professional politician? If Gülenist activities were a known fact, why couldn’t the putsch be prevented from happening? Will the ruling elite take responsibility for their exposed political incompetence? Does the resignation of Turkey’s Interior Minister, Efkan Ala, suffice? Fourth, we must ask when the left-leaning opposition (i.e., political parties, social and political movements) will dare to bring the crushing political machine into discussion. Could it be that fear and hope have overwhelmed them as well? Or could they be waiting for the right moment to raise their critical voices under these extraordinary circumstances? For one thing, the pro-government propaganda currently in full swing is likely to intimidate the dissidents and make them feel they are being held hostage in their own corners, which leaves them in a difficult dilemma. If the opposing groups act too quickly, there will be a risk of alienating their actual and potential supporters. If they act too slowly, Erdoğan might take the state of emergency as an opportunity to swallow up the whole political process and restructure the state according to his will. Apparently, there is a delicate balance that needs to be gauged by careful examination of the ebbs and flows of politics with the aid of practical reasoning. Otherwise, if Erdoğan overplays his hand or the opposition remains passive until it is too late, the course of events will probably intensify the current polarization (even if, after the thwarted coup, people pretend that it does not exist) and bring the entire society to the verge of collapse. Finally, the odds for an optimistic scenario to come into being are bleak and yet in the world of possibilities. However, it happens only if all political adversaries (including HDP) are involved in the democratic procedures on an equal footing with an eye to creating a more transparent, egalitarian, participatory and just society. Of course, an ideal situation implies a long process of deliberation, which requires mutual trust and democratic habits based on a shared experience. Unfortunately, we lack both. Besides, Erdoğan and AKP look rather occupied with resolidifying their positions by alluring MHP and CHP with the use of nationalism, terrorism and anti-Gülenism cards, while keeping HDP at bay in order for rescuing this seeming bloc (or the so-called “national coalition”) from harm. Consequently, the future scenarios, good or evil, depend largely on the interplay of three domestic political variables: the degree to which MHP and CHP are subordinated to AKP in the post-coup era; the ways in which HDP reacts to the unsettling politics of exclusion; and the strategies and tactics employed by other significant political actors, including the illegal and militant organizations such as the Kurdistan Workers’ Party (PKK) and their nemesis, the Islamic State (IS). 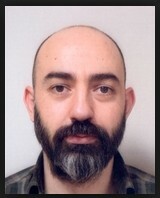 Onur Bilginer is currently working as a part-time lecturer in the Department of Political Science and Public Administration at Bilkent University, Ankara. He received his B.A from the Department of Sociology and M.S from the Department of Political Science and Public Administration at METU, Ankara. He earned his doctorate degree in political theory from the Rockefeller College of Public Affairs and Policy, SUNY at Albany. His dissertation “Theories of political resistance: The making of resistance from the sixteenth century to the present” won the College’s Distinguished Doctoral Dissertation Award in Political Theory in 2015. His research interests include ancient Greek political thought, comparative politics, political ideologies, democratic theory and contemporary issues in ethics.